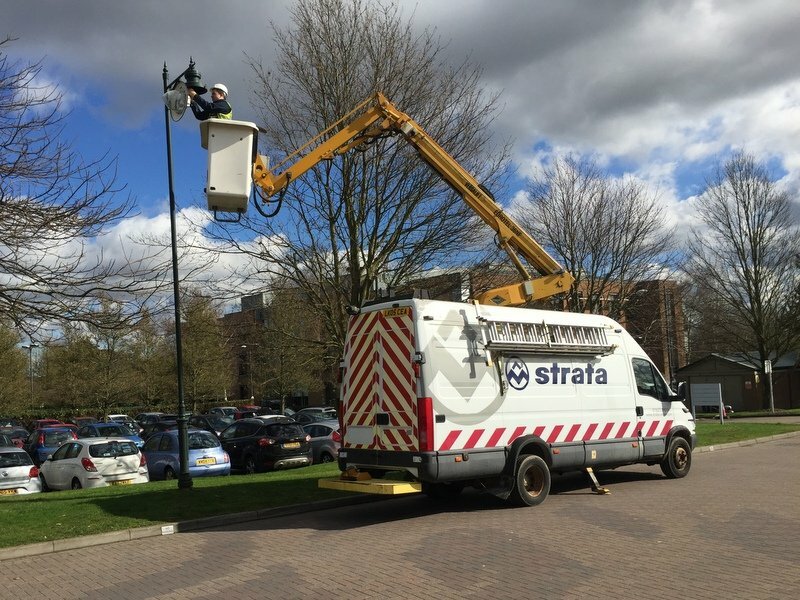 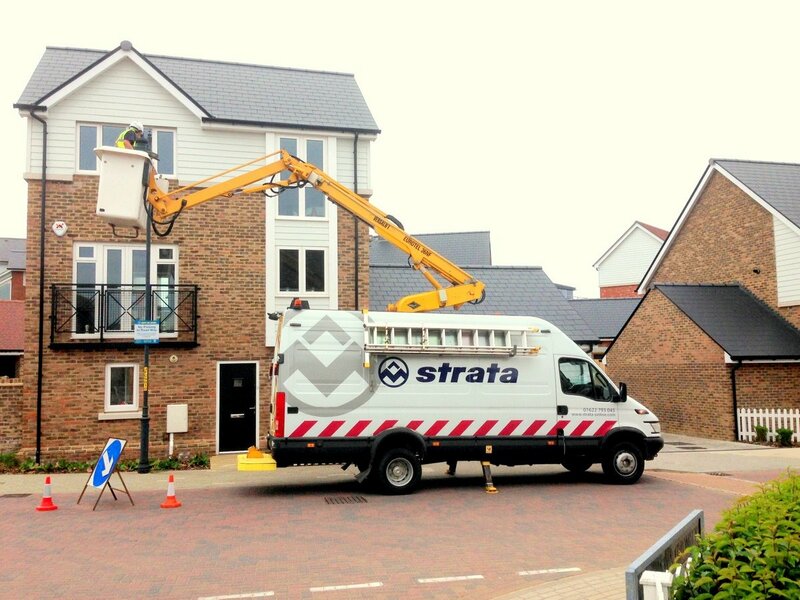 Since 2009 Strata have been providing a maintenance contract for street lights and outdoor lighting at Kings Hill, Kent; a mixed use development of commercial office buildings and residential village in Kent. 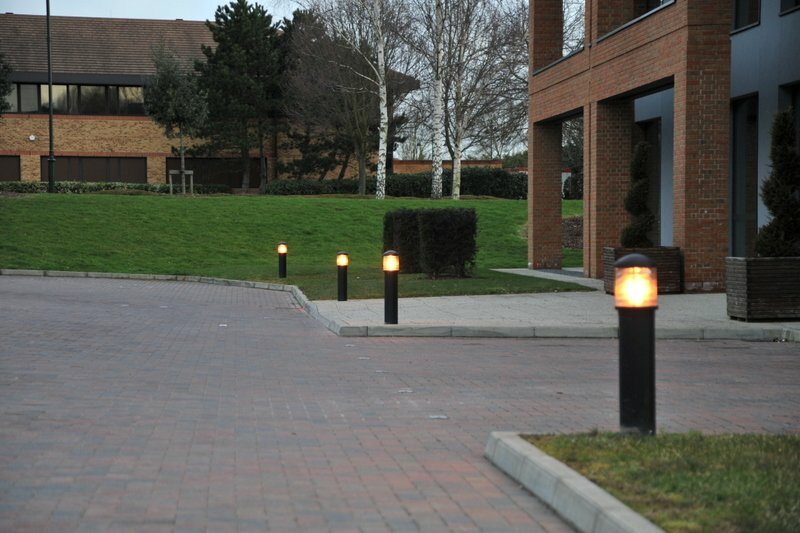 We appreciate the importance of placemaking and our comprehensive maintenance solution has been developed to maintain the infrastructure required for this vibrant residential and business community. 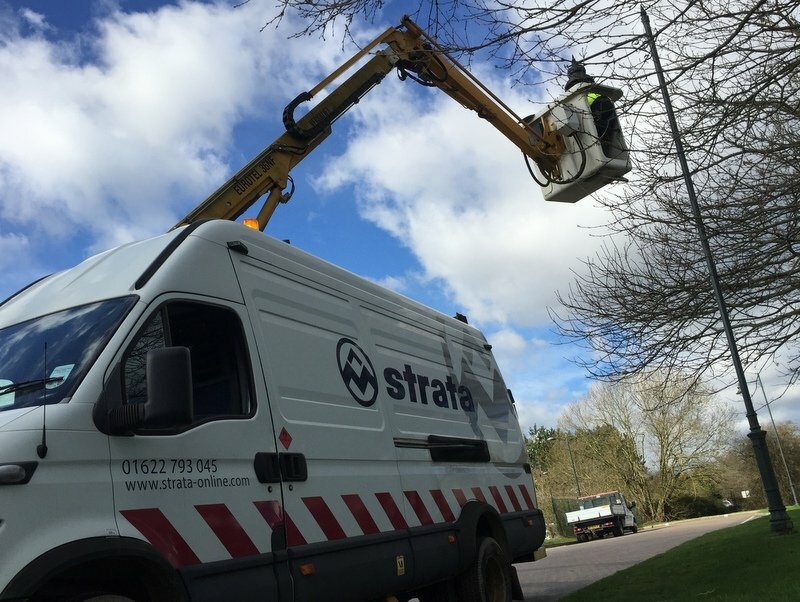 This contract includes weekly surveys and inspections during daytime and hours of darkness, remedial maintenance works, as well as an emergency call out service. 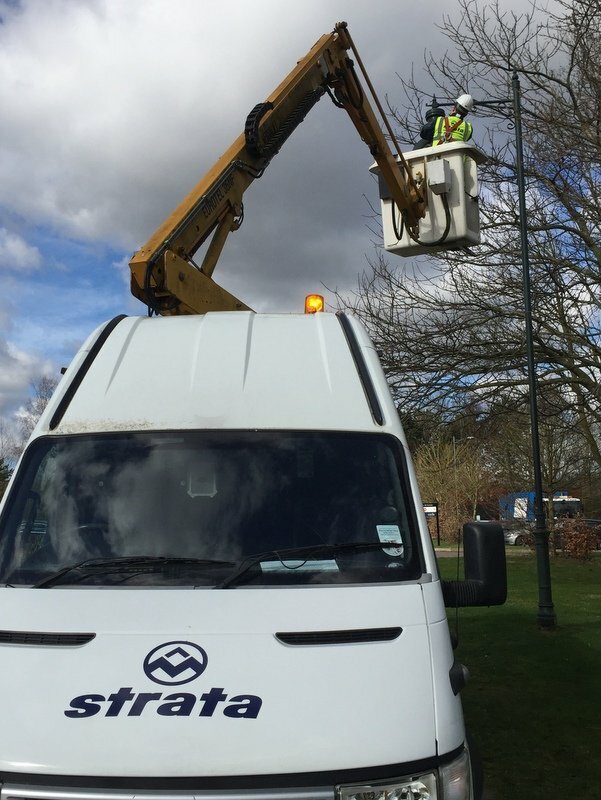 In support of this contract we have also completed works relating to highway directional sign illuminations, feature lighting, commercial building external lighting and the installation of CCTV street furniture.